Some of the views I hold make me seem biased against Western games, but that’s simply not the case. I just happen to value gameplay more than any other aspect of video games, which is coincidentally, the area where the majority of Western AAA games are weakest. After thinking about this for a while, I’ve decided to illustrate the main difference in gameplay between Western and Japanese games. North America is the cinema capital of the world. Be it in quality, quantity, or the money it draws, nobody beats Hollywood when it comes to movies. With that in mind, it should be obvious as to why Western AAA developers have made their games into interactive movies: It sells really, really well. Games becoming more like movies was one of the biggest factors of how video games rapidly came into mainstream success with the 7th generation of consoles. AAA games are copying movies to appeal to a larger audience. 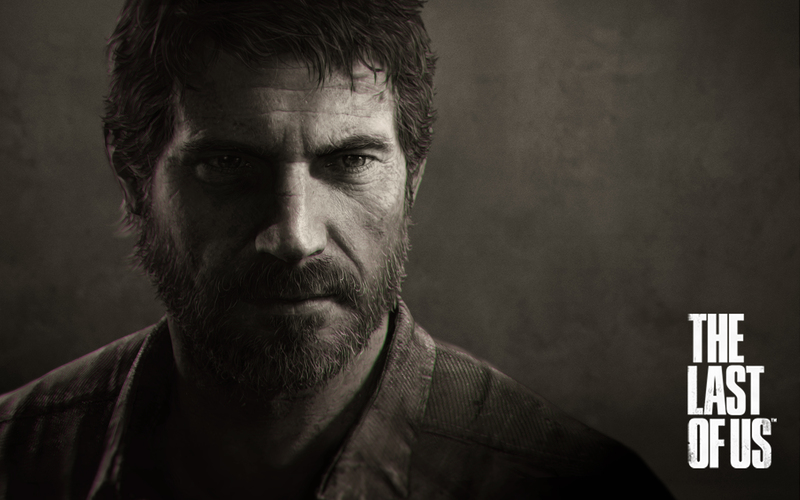 Western games value the cinematic flair, and focus on why the player wants their character to do something, then letting the player tell their character what to do. This often manifests itself in repetitive, “low control” combat that has cinematic finishers, where contextual actions are used to pad out the general shallowness. You can beat this bad guy into submission by repeating the same three punches until he’s defeated, or you punch him three times until staggered, then tell your character to finish him, at which point said character will commit a vicious act of cinematic violence, possibly highlighted by slow motion and/or X-ray. That’s not to say the presence of contextual commands, which I will affectionately refer to as murder buttons for the purpose of this article, automatically means shoddier gameplay. I’d consider Bayonetta 2 and Metal Gear Rising the pinnacle of action games, and they have some of the most over the top murder buttons in all of video games. However, the combat in those games is varied, and impeccably paced, the options are almost limitless. Horizon Zero Dawn or The Last of Us? Not so much. Japanese games have pursued spectacle as well, just look at Metal Gear Solid and Final Fantasy. 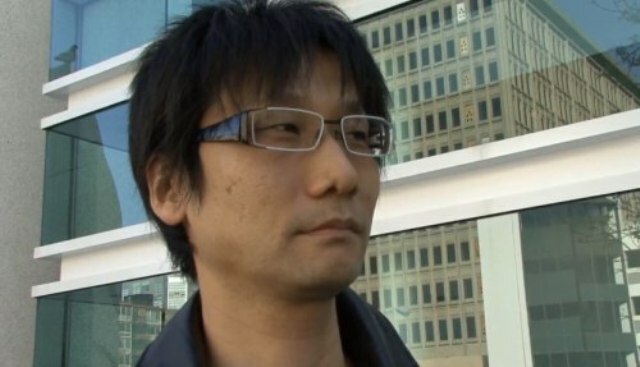 Kojima let his big dumb action sequences get out of hand in MGS4, and the gaming world will never forget how stupid those Raiden cutscenes were, but at least the gameplay had stayed strong throughout the series, unlike Final Fantasy, but that rant is for another time. Both Resident Evil 2 and 4, the most critically acclaimed entries in the Resident Evil series, were inspired by the Hollywood blockbusters, though this was before technology gave developers more freedom in gameplay, and the cinematic framing didn’t overpower the games’ balance. While he can go too over the top at times, Kojima is still the closest to combining top tier gameplay with high end cinematic presentation. Japanese games in general tend to focus on gameplay, save for the RPGs, but even those often try to create engaging, original gameplay via systems (See: Persona 5, Xenoblade). The best way I can describe it is that Japanese games emphasize player skill and system mastery. Fighting games, character action games, hunting games, arcade games, shmups, and system heavy JRPGs are the bread and butter of Japan. A requirement to enjoy these games, and a large part of their appeal, is the act of skill acquisition. Mastery and skill acquisition can take the form of physical execution, knowledge of how a system works, or both. In Bayonetta and other character action games, this comes from learning how to dodge, delay, and taunt offset, string combos together, and position yourself and enemies properly to keep the string going for as long as possible. In Final Fantasy 7, mastery is expressed by creating, then chaining, strong materia to boost stats and perform insanely powerful commands. Fighting games are all about overcoming the execution barrier, getting into the opponent’s head, and cutting them off at every pass to make their lives miserable. In an oversimplification: Western games focus on players making decisions and letting the characters react contextually in regards to how they follow the player’s command. Japanese games put the “How” on players, who determine how to do something and then make the characters do it. This is why I tend to prefer Japanese and indie games, which focus on gameplay out of necessity, over Western AAA releases. Gameplay is the only essential element to video games, it has nothing to do with a weeb-like sense of regional superiority. The “How.” Players can perform crazy feats when they master a character action game. Again, these are blanket generalizations. There will be exceptions. Shooters are almost exclusively a Western genre, and most of them offer skill based challenge. In the same vein, everything Kojima produces wants to be a movie. It doesn’t get much more American than NetherRealm Studios, and they’re making one of the most anticipated fighting games this side of Smash. Koei Tecmo has produced some of the best action games ever made, but they still make mindless musou trash. General tendencies aren’t absolute laws. Do you agree? Are you furiously typing up a list of Western games that put the emphasis on gameplay over trying to be the next Michael Bay film? Whatever your stances, come at me in the comments section below. If you would like to support my writing and future endeavors, please feel free to check out my Patreon (Work in Progress) or my PayPal Tip Jar. If you want to be updated when new articles articles are posted, follow us on our social media accounts in the sidebar, or follow me personally @JamesAdamWynne. This is both really dumb, and overly generalized. Would you mind explaining exactly how it is dumb? I’m all for learning from criticism. As for it being over generalized, yeah, I said it was a generalization in the article. That said, it’s a fairly accurate generalization. you are making a mistake. what you are explaining is the lack of action no of gameplay. you have a personal preference for action game or action oriented game. because gameplay is different from action. It s like someone will prefer action film over other types of film and then saying that film is about action to far from the reality. You are missing maning thinks. The game you refer to are not supposed to have action every where . To explain just look at point and click game (runaway, sam and max …) there is absolutely no cinematic in those and yet there is no action style gameplay because of their culture there way of life or other think. If you want to say that japenese action game have better gameplay than western action game perharps …. But even there compare Japanese and western is non sense because Japanese develop a majority of action oriented game and western develop any type. so comparing those is absolutely impossible. Now if we stay in action game we will have to compare god of war or devil may cry 5 to god hand or dmc4. “, knowledge of how a system works, or both” this is just a part of what is really gameplay. Japanese games (what does that even mean) focus their on Mastery and skill acquisition can take the form of physical execution, knowledge of how a system works, or both ignoring other component of gameplay for the sake of action and spectacle. Western games integrate ability of players to make decisions and letting the characters react contextually in regards to how they follow the player’s command scarifying action and spectacle every where. ex: RTS does not have action like you described or film cinematic. But they have a hell of gameplay present here. there is even a unit to quantify your ability called APM (action per minutes). At the end The main difference between Western and Japanese games (again what does that mean) is the variety in the gameplay for western and narrowing gameplay focused on “Mastery and skill acquisition can take the form of physical execution” at the service of action for Japanese. And advice, try killing your self by playing every kind of game till the end, read opinions of other players on other kind of games, read book about what is video game and what is gameplay like algorithms culture of Galloway. You will understand that gameplay doesn’t reduce to what you can call action. PS: don t get me wrong I personally don t have a preference. I love all type of video games and I’ve played all type. I don’t care if there are Japanese or western. only sport sim like fifa didn’t succeed to hold my love longer. I’m aware that not all gameplay is action, but I’m pretty explicitly talking about Western AAA games, which almost uniformly involve combat. What’s one AAA game that doesn’t involve combat, besides sim games? The combat itself isn’t the point, it’s the depth of options and the skill requirements that are key. Even if we compare God of War to DMC we see a simpler, slower combat system that uses more QTEs and murder buttons. We could compare Western RPGs and JRPGs just as easily, the Japanese games are almost universally more difficult, often requiring a more in depth understanding of their mechanics to complete them. Skill based gameplay isn’t exclusive to Bayonetta. A quote from David Cage can sum up my general point about Western developers: “Game overs are a failure of game design.” In Japanese games, game overs are expected, and often punish or mock the player for their failure. The game is a challenge to the player, one they shouldn’t be allowed to beat without mastering a skill or investing time. If you say that the combat is the point in W. AAA you miss a lot of things. You compare GOW and DMC in the combat point but you were just saying that “combat itself isn’t the point” I’m not following you. Your comparison is lazy cuz you reduce skill and depth gameplay to combat system. I can say in DMC is easy to progress to find you way trough the map. It’s easy; simpler that GOW just go forward you hit everything and so on. But I know that game is not only about platforming. So I won’t say that DMC is easier that GOW. No “We could compare Western RPGs and JRPGs just as EASILY” do you actively play w. RPG and J.RPG I don t think so. Many people plays only one of those kind I play W.RPG mainly some few J. RPG (only 2 in my life) . Perhaps those was the laziest JRPS in the history. I cannot generalize with only those 2. How may of those two genres have you played or which study or statistics do you use to compare so easily??? You don’t have to understand in depth the mechanics of GOW (how puzzle are construct, intention of level designer) to complete, or mechanics of DOW3 or PORTAL 2 or ASSETO (complete the list). Some fan can kill you for that kind of heresy. “In Japanese games, game overs are expected, and often punish or mock the player for their failure. The game is a challenge to the player, one they shouldn’t be allowed to beat without mastering a skill or investing time” I all the game that I’ve listed you do t need to invest time and to have skill to succeed. The game do not challenge the player??? It s weir I must be a very poor player I’m struggling with asseto corsa now, It take me more time to finish GOW2 than to finish DMC3. What’s wrong with me??? In fact I think you have a strong personal preference in some type of game and it append that Japanese develops many of this kind. Most of the games you listed are not AAA games though. Not in the sense people use the word today. You’re not going to find many people out there that will consider RTS games AAA titles. You’re already set in trying to fight me on this, so there’s no reason for me to break down the argument further.if you’re going to pitch Sherlock Holmes, a great series but still a B-tier budget, as AAA for the sake of your argument. You are formally saying that no RTS is an AAA game. talking of budget there is not so many Japanese AAA. Not in the sense people use today. Most of them (if we refer to very high budget prod) are Western. So it is difficult to shape a tendency on 2 or three game on one side (“Japanese game”) and dozen of games in another side. I cannot point to more than three series of Japanese game that can be AAA budget. Not to mentioned that Japanese does not publish the prod budget like western that are oblige since most of them are quote is some stock market. See this list, there is only 7 Japanese game against 29. and 4 of these Jap game are from de same series (FF). So if we want to talk about high budget AAA. Don t even talk about Japanese. Most of them will be B-tier budget as you can say starting by DMC4. Reducing your analysis on AAA budget game does not help you cuz you won t find many Japanese game there to illustrate your point. You have to wider you criteria for AAA budget criteria. there you will have all the jap game that you love DMC and so on. But you will have other B-tier budget game that like StarCraft or DOW3 (RTS) that some can use to ruin your analysis. Again for me Japanese (not so AAA) games have their area of pleasure and Western AAA games try to cover or to mix areas of pleasure. they have to since they invest 100+ millions they have to think about everyone to capitalize. Yes gameplay is what transform a game into video game but don t say that there is no gameplay generally in western game or in AAA western game as opposite to jap. Come with dozen of example in dozen of type of game before drafting a general assumption like this. And by the way any of the game I have mentioned doe not look like Michael Bay film and I don t like Last of us or heavy rain, MGS, GOW, FF, Pokémon, Grand Tourismo or QTE Japanese or not. But not because of lack of gameplay.